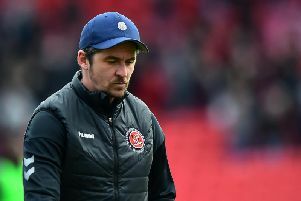 Fleetwood Town have broken their silence on an alleged 'indecent' in the tunnel after Saturday's 4-2 defeat at Barnsley. 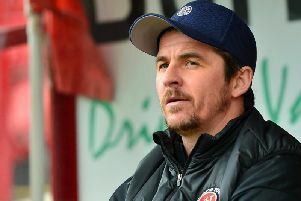 Fleetwood declined to comment on allegations head coach Barton assaulted Barnsley boss Daniel Stendel at Oakwell yesterday. But after South Yorkshire Police confirmed they were investigating allegations of assault the club have released a statement this morning. The club wrote: "Fleetwood Town have been made aware of an alleged incident following Saturday’s game against Barnsley. Tykes goal scorer Cauley Woodrow took to social media after the game in a since deleted Tweet claiming Fleetwood head coach Joey Barton had left his boss Daniel Stendel bloodied after the game. When approached by the Gazette the police confirmed they are investigating an 'incident' in the tunnel but say no arrests have been made. Barton was initially stopped leaving Oakwell by the police but was allowed to leave in a BMW with Town CEO Steve Curwood minutes later. The police said they could not confirm or deny if they had questioned Barton about the incident. A statement from Barnsley released last night stressed they would aid enquiries.